Toronto's Hot Docs festival wrapped its 23rd edition on Sunday, May 8, with its usual record-breaking set of stats. This year, the 11-day event presented 462 public screenings of 232 films on 15 screens to a new audience high of 211,000 attendees. Over 300 filmmakers and subjects attended Hot Docs, offering audiences and the media a chance to interact with a significant number of important figures, including filmmakers Steve James and Joe Berlinger, BBC Storyville commissioning editor Nick Fraser, motivational speaker Tony Robbins, former Noma head chef Daniel Giusti, cultural critic Nelson George, burlesque queen Tempest Storm and blues legend Bobby Rush. The festival continues to expand its reach as a purveyor of documentary culture through a series of innovative programs. The experimental DocX takes documentary film out of its box and places it in different contexts: as interactive installations, virtual reality experiences, 360-degree videos and in one special case, as video mixed with docu-theater. That work was a stunner by South Asian-Canadian filmmaker/musician Cyrus Sundar-Singh. 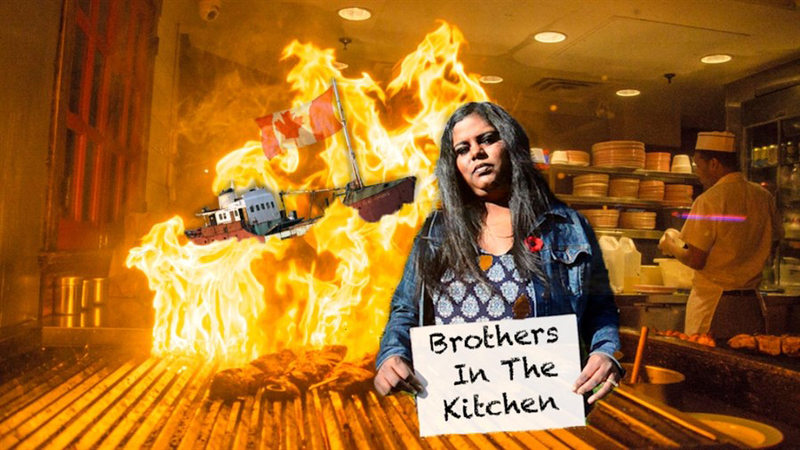 Brothers in the Kitchen is a multimedia theatrical performance set in a fictitious restaurant, animated by chefs and clients who talk passionately about their lives in Canada after arriving as Tamil refugees. Archival footage of the dramatic arrival of the "boat people" off the coast of Canada's Newfoundland in the late '80s played on monitors in the restaurant. Two of the featured players in the Hot Docs premiere included former Toronto mayor Barbara Hall and the former leader of the country's Liberal Party, Bob Rae, both of whom offered a political context for this important exploration of immigrant culture. Big Ideas, a program that allows filmmakers and subjects to talk in depth about the experiences and ideas in their docs, attracts audience members who are most likely not documentary aficionados. Big Ideas included educator Razia Jan speaking about schools for women in Afghanistan, the inimitable Tony Robbins talking about his self-help philosophy and filmmaker Tiffany Hsiung making the case for redressing the terrible crimes endured by Korean "comfort women" by Japanese soldiers in World War II. Hsiung's The Apology came in second for the festival's Audience Award to another National Film Board crowd-pleaser, Alethea Arnaquq-Baril's Angry Inuk, a passionate film that speaks with inspiring authority about a controversial subject. This doc counters arguments against seal hunting by presenting images of the Arctic as Inuit hunt seals to sustain their communities with meat and fur. 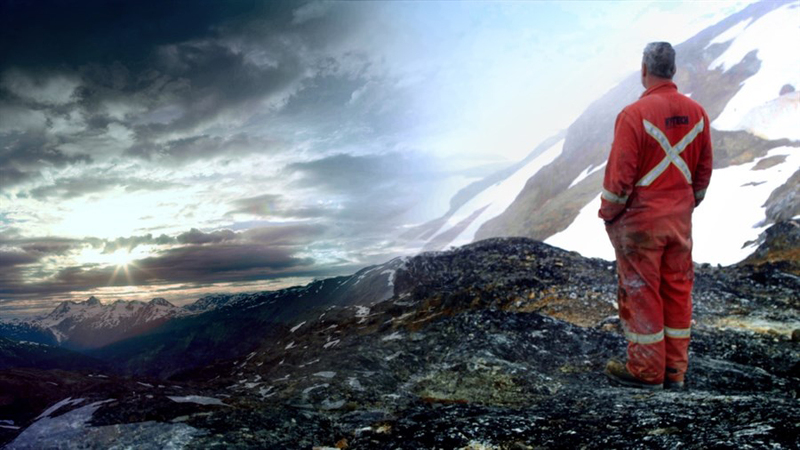 The film, which was co-produced by Montreal indie mavens EyeSteelFilm, also won the Canadian Documentary Promotion Award; in all, Angry Inuk garnered $25,000 in prize money. This edition of Hot Docs proved to be the best year for Canadian documentaries in recent memory. Placing third in the Audience sweepstakes was another standout, Pete McCormack's poignantly bittersweet Spirit Unforgettable, which chronicles the experience of John Mann, the front man of the folk rock band Spirit of the West, as he battles with Alzheimer's disease. The best Canadian Feature Documentary Award, worth $10,000, went to veteran British Columbia filmmaker Nettie Wild. In Koneline: our land beautiful, Wild abandons her famously combative political style and adopts an attitude that is reminiscent of Jean Renoir's saying, "Everyone has their reasons." She spends time with residents of Northern British Columbia, both new settlers and the indigenous Tahltan people. The film raises issues of the exploitation of the land for mining purposes, but Wild encourages representatives from both sides of the debate to express their views. The film, gorgeously shot by Van Royko, is a poetic exploration of one of the most beautiful areas in the world. Brett Story won The Special Jury Prize—Canadian Feature Documentary, worth $5,000, for The Prison in Twelve Landscapes. A young Canadian presently studying in New York, Story takes an essayistic approach, through chapters representing the "landscapes," to examining the American prison industry and its collateral victims on both sides of the bars—citizens, inmates and employees of the system alike. Sébastien Rist and Aude Léroux-Levesque earned the Emerging Canadian Filmmaker Award for their lyrical Living with Giants. This doc about Inuit youth culture unfolds like a dream, then dissolves into a nightmare, following young Inuk Paulusie until his life takes an unexpected turn. 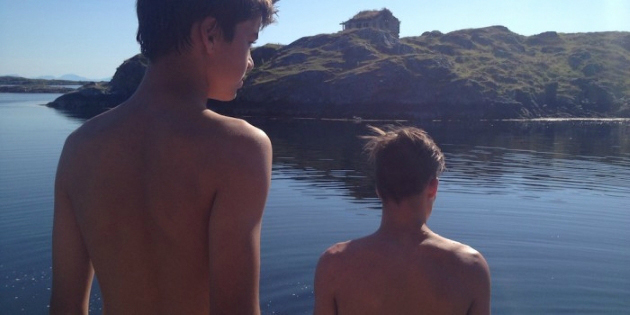 The Best International Feature Documentary Award, worth $10,000, was presented to the Norwegian director Aslaug Holm's personal film Brothers, which documents the relationship between her two sons in a subtle, endearing way. At one point in Brothers, Holm observes, "The small moments contain everything." She clearly demonstrates the wisdom of those words. 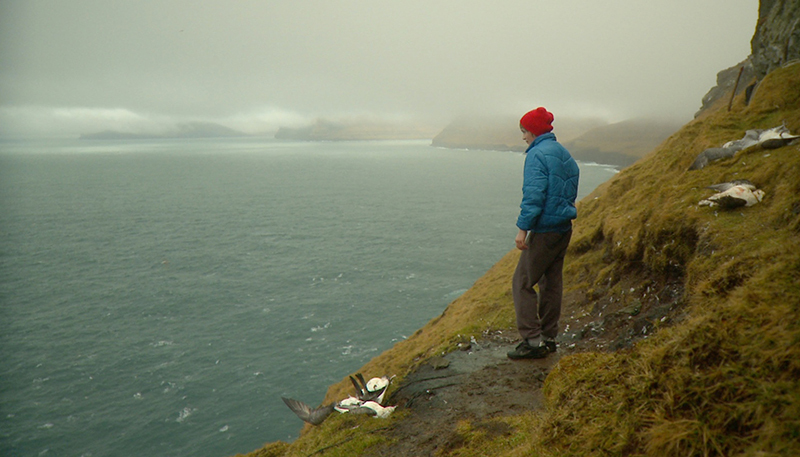 Filmmakers Todd and Jedd Wider won the Special Jury Prize—International Feature Documentary, worth $5,000, for the haunting God Knows Where I Am. Through diaries, home movies and snapshots, the Widers' film is a beautifully rendered character study of a bipolar New Hampshire woman, Linda Bishop—and, in its understated manner, a subtle indictment of the medical system and how it addresses mental illness. Director Mike Day picked up the Emerging International Filmmaker Award for capturing the fight to protect the pilot whale hunt in the Faroe Islands in The Islands and the Whales. While Angry Inuk champions a sustainable way of life, Islands presents a tradition that actually threatens the survival of the people who seek to protect it as dangerous levels of mercury contaminate the whale meat. The sound design of The Islands and the Whales is its greatest asset and marks one of the best technical feats at Hot Docs by offering an immersive Dolby Atmos soundtrack. Two major international world premieres, Jerry Rothwell and Reuben Atlas' Sour Grapes and Brendan Byrne's Bobby Sands: 66 Days, were among Hot Docs' better titles. Grapes toasts a fascinating con game within the international wine scene in which a young tastemaker swindled top connoisseurs by selling millions of dollars' worth of counterfeit wine. Paced like a caper and layered to accentuate the greater con of American capitalism, the film is an entertaining look at the lies people choose to believe. Much tougher is Bobby Sands, which yields little new information about the acclaimed IRA hunger strike martyr, but Byrne delivers Sands' story in an effective collage of archival images, interviews and animation. The film uses Sands' writing as riveting narration while Byrne explores how culture shapes heroes through the sacrifices of ordinary individuals. The doc gets people talking, too, as evidenced by an explosive post-screening Q&A in which an audience member chastised Byrne for omitting female voices such as Sands' mother and Margaret Thatcher from the interviews. Hot Docs featured a wide range of American productions. Heidi Ewing and Rachel Grady's character study Norman Lear: Just Another Version of You charms with its insightful look at a living legend. Less effective is Noah Baumbach and Jake Paltrow's lethargic De Palma. While Ewing and Grady remain respectful of Lear in their film and keep the tone celebratory, they utilise additional voices to support Lear's anecdotes. Baumbach and Paltrow, however, give De Palma carte blanche to discuss his career in a single, awkwardly shot interview. While this De Palma 101 lecture offers ample information, it's superficially self-congratulatory and soft on the director's controversial style. Alternatively, James Demo's The Peacemaker is insufferably dry whenever it lets subject Padraig O'Malley do the talking, but proves fiercely analytical in its final chapter, which witnesses candid moments of the peacemaker's declining mental health. Esther Gould and Reijer Zwaan's Strike a Pose, meanwhile, fascinatingly deconstructs the 1991 doc Madonna: Truth or Dare as the male dancers from that film dish the dirt on the Material Girl. The film highlights Madonna's notorious treatment of her peers as disposable, but the confessional nature of the film inspires the dancers to accept their own shortcomings. The doc succeeds best as a portrait of Truth or Dare's legacy of helping new generations of gay men love themselves by identifying with the characters onscreen. Finally, the acclaimed Hot Docs Forum was back with 20 projects pitched over two days to over 300 funders and decision makers. A dozen female directors and 27 producers delivered Forum pitches. It's worth noting that a number of Hot Docs' top prize winners this year were women: Alethea Arnaquq-Baril, Nettie Wild, Brett Story and Aslaug Holm. In a year when the progress of gender equality in the industry is being challenged in several studies and articles, it's fair to note that documentaries are leading the way in cracking the glass ceiling. Fittingly then, producer-cinematographer Anam Abbas, along with her male colleagues Saad Khan and Toronto-based Nomad Films' Mark Johnston, won the $10,000 Forum Pitch Prize for a powerful documentary project, Showgirls of Pakistan. A feminist take on women working in a controversial field, it helps to bookend a festival that began with Rama Rau's intimate portrait film, League of Exotique Dancers. Why this concentration on women? Let's give Canada's Prime Minister Justin Trudeau the last words: "Because it's 2016." Patrick Mullen is POV‘s Assistant Online Editor. He covers film at Cinemablographer.com, contributes to The Canadian Encyclopedia and is a member of the Online Film Critics Society. You can reach him at @cinemablogrpher.